Today ISPM researchers publish a study online in the International Journal of Epidemiology that shows assisted suicide is more common in women, the divorced, those living alone, the more educated, those with no religious affiliation, and those from wealthier areas. While euthanasia is prohibited in Switzerland, the penal code states that assisted suicide is legal if no selfish interests are involved. Assisted suicides in Switzerland involve volunteers working for “right-to-die” associations. The role of physicians is restricted to assessing the decisional capacity of the person requesting assistance and to prescribing the lethal drug. Notably, the person requesting assistance does not need to have a terminal illness. In this study Nicole Steck, Matthias Egger and colleagues from ISPM, the Federal Office of Statistics and the University Hospital of Psychiatry Bern linked data from three right-to-die organisations to the Swiss national Cohort, a longitudinal study of mortality based on linkage of census and mortality records. The study followed those aged 25 to 94 from 1 January 2003 until their death, emigration, or the end of the study: a total of 5,004,403 people. 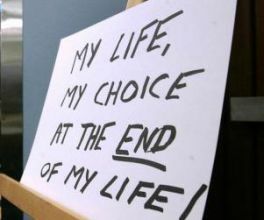 Anonymous data on 1,301 cases of assisted suicide between 2003 and 2008 were provided by the three right-to-die organisations. Assisted suicide was more common in women than men, in people with secondary or tertiary rather than compulsory education, in those living alone, and in those with no religious affiliation. The rate was also higher in urban compared to rural areas, in wealthier neighbourhoods, and in the French rather than German or Italian speaking areas of the country. Having children was associated with a lower risk of assisted suicide in younger people, although not in older people. In 84% of cases the death certificates listed at least one underlying cause of death. In the age group 25-64 years the majority had cancer (57%), followed by diseases of the nervous system (21%). Eleven individuals had a mood disorder listed as the first underlying cause, and three had another mental or behavioural disorder. For all causes, except Parkinson’s disease, the percentage of assisted suicides was higher in women than men. In the 65-94 years age group, cancer was again the most common underlying cause (41%), followed by circulatory (15%) and diseases of the nervous system (11%). Thirty people had a mood disorder, and six had another mental or behavioural disorder. 16% of death certificates did not register an underlying cause. A previous study of suicides by two right-to-die organizations showed that 25% of those assisted had no fatal illness, instead citing “weariness of life” as a factor. In 2013 the European Court of Human Rights asked Switzerland to clarify whether and under what conditions individuals not suffering from terminal illnesses should have access to help in ending their lives, suggesting that Switzerland should more precisely regulate assisted dying.